Citizens of planet Earth have always wondered what happens beyond our galaxy and keep questioning the idea of extraterrestrial life. This enigma was resolved as aliens invaded the grounds of Rideau Hall. Are they friendly? What do they want from us? Do we share anything in common? It was up to the visitors to find out! Many new and exciting activities awaited visitors, like the Halloween-themed miniature village, invaded by creatures from outer space. Visitors learned about space exploration by participating in educational demonstrations led by the Canada Aviation and Space Museum. 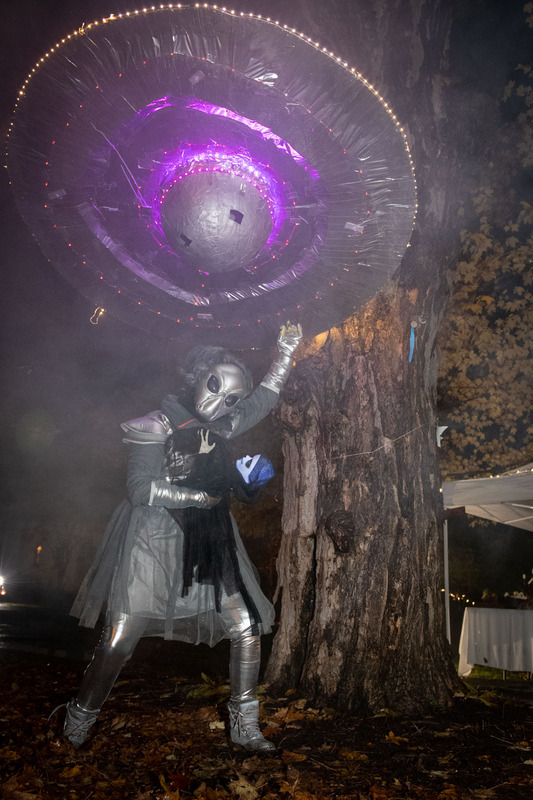 They were also able to take photos in the decorated photo booth and with the many extraterrestrial characters roaming the site and the spooky path. 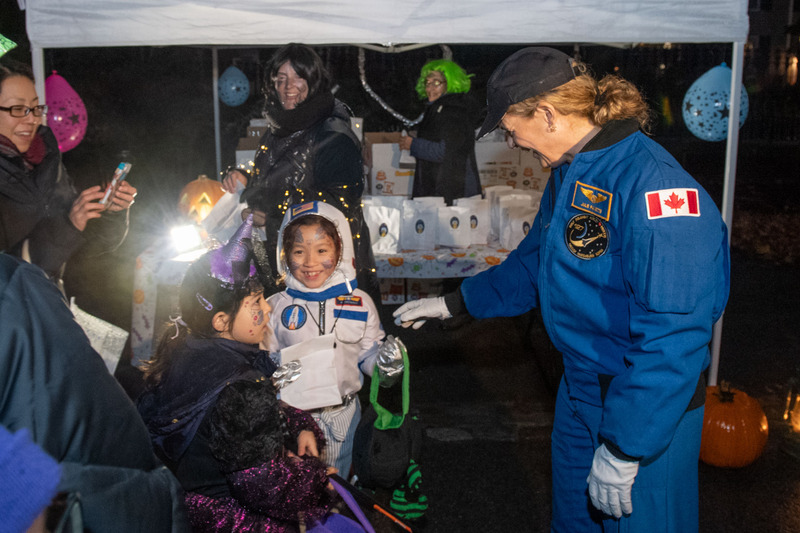 Rideau Hall staff was on hand to distribute goodies to trick-or-treaters of all ages. 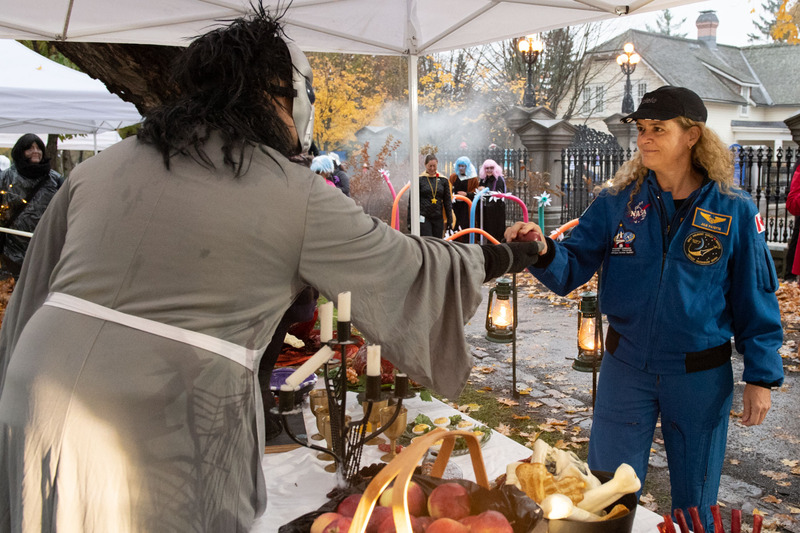 Trick-or-treaters of all ages enjoyed walking through the Halloween-themed miniature village invaded by creatures from outer space. 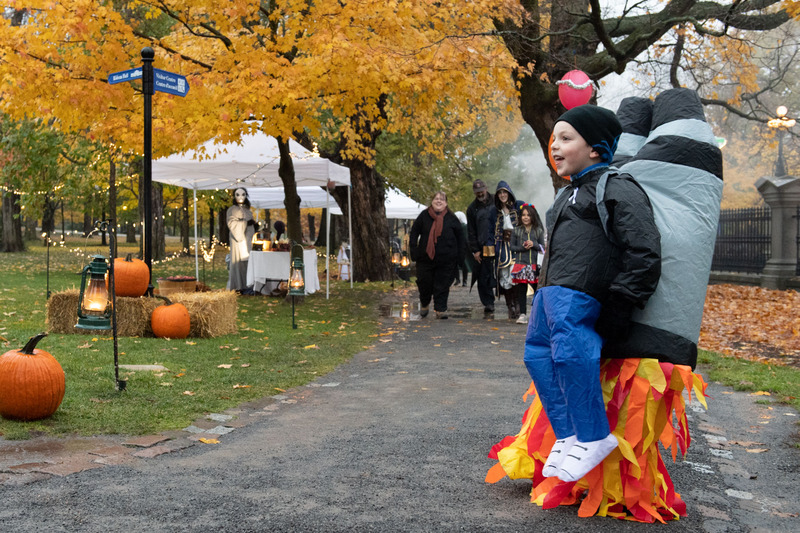 In keeping with this year’s space theme, a young boy came to Rideau Hall dressed as a space rocket. As a healthy alternative, apples were also handed out. 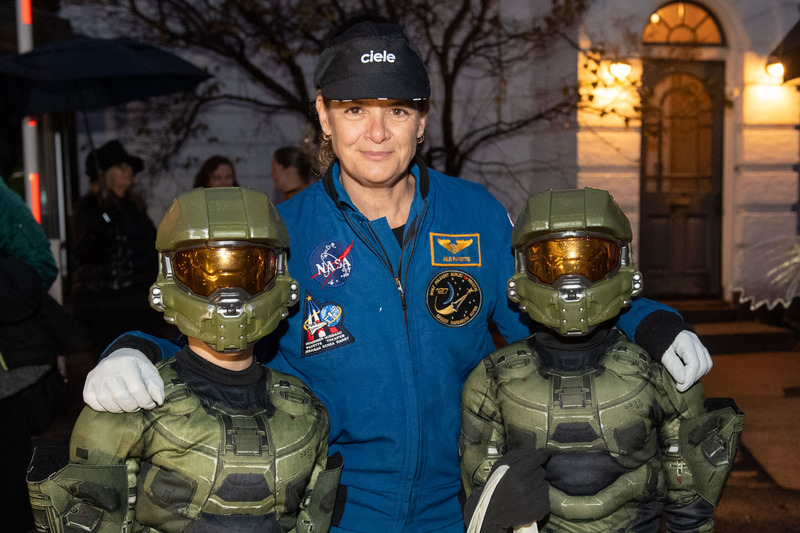 Her Excellency, dressed in her flight suit, met kids during the activity. The Governor General gave out candies to kids. 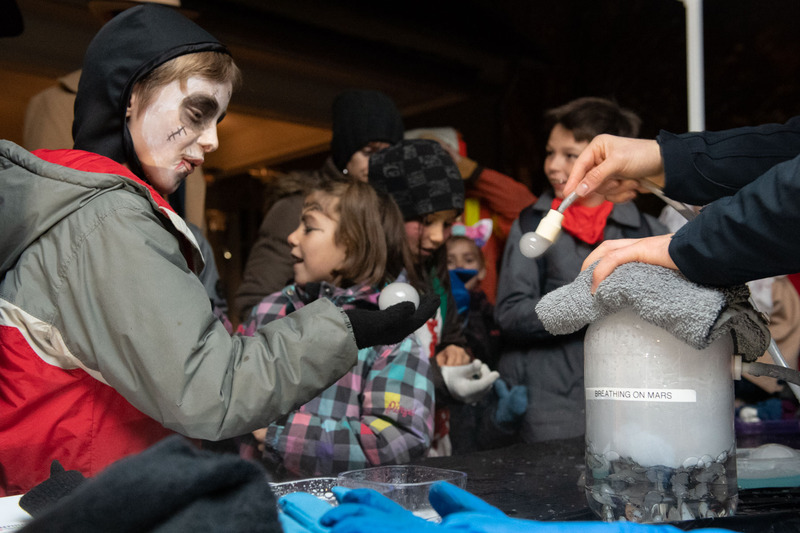 The Canada Aviation and Space Museum gave children dry ice bubbles. 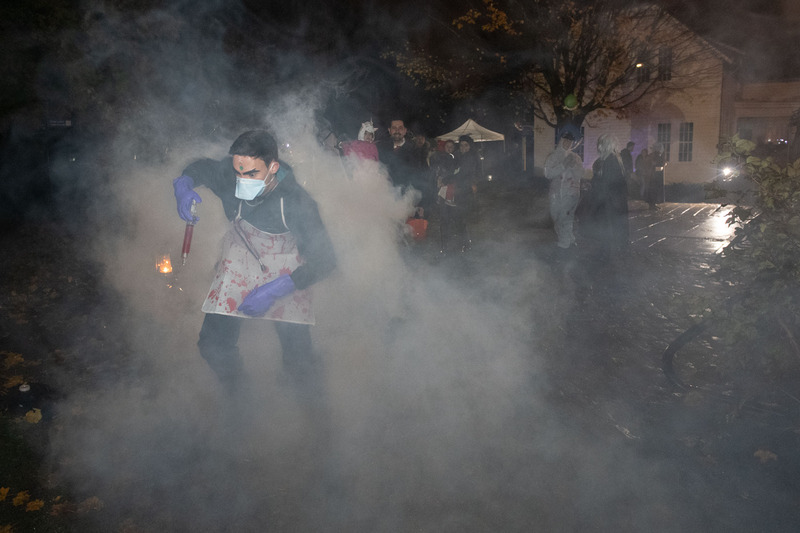 A mad scientist greeted guests along the spooky path. 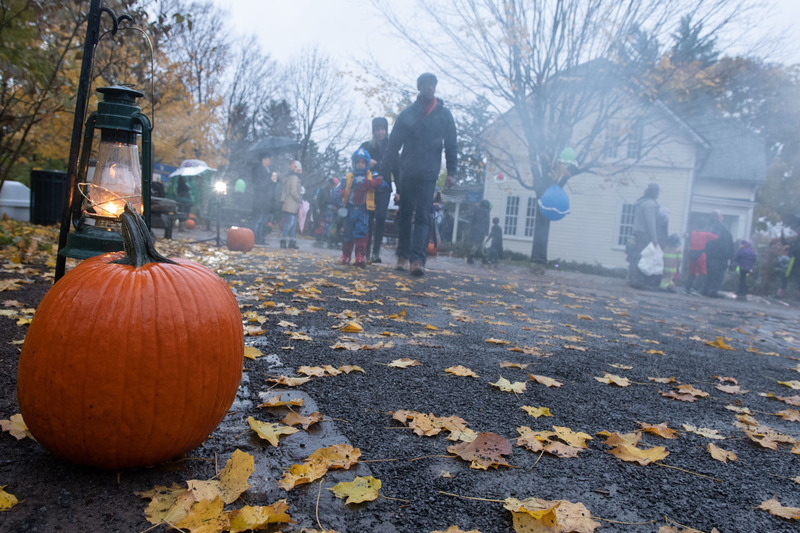 On Halloween night, aliens invaded the grounds of Rideau Hall.